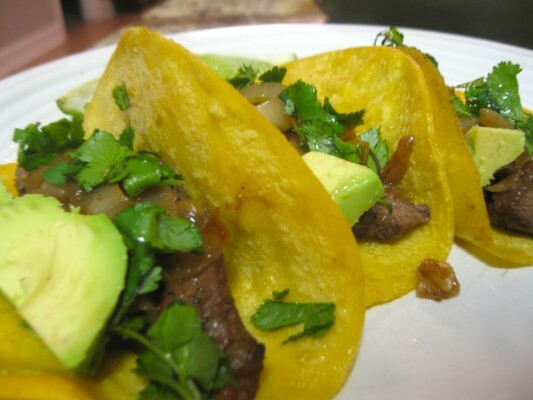 The fresh Mexican flavors of these street tacos all come together to create a spicy, smoky, fresh taste that will make you feel like you have an authentic taco stand in your house. You can think of this recipe as a template: use any combo of meat and fixings to make up a quick batch of tacos at any time. If you are looking for a meat recipe to use, here is one for diced chicken, a recipe for steak, and a recipe for ground beef or turkey. This is also a great place to use up leftover meat! For a veggie option, you can sub in black beans or extra firm tofu. Prepare meat to your liking. While meat cooks, olive oil to a large skillet, over medium to medium-high heat. 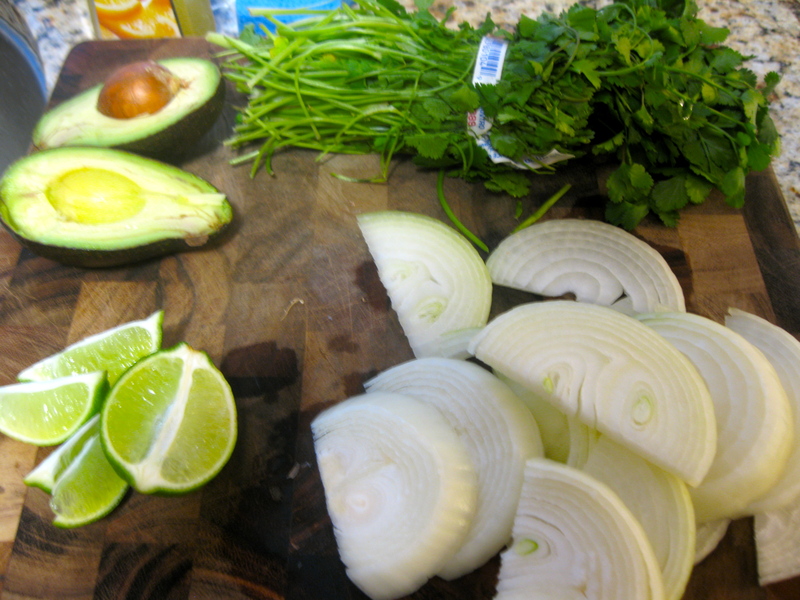 Add onions and salt, to taste. Allow to caramelize, around 7-10 minutes. Toast tortillas by heating a small skillet over medium heat. 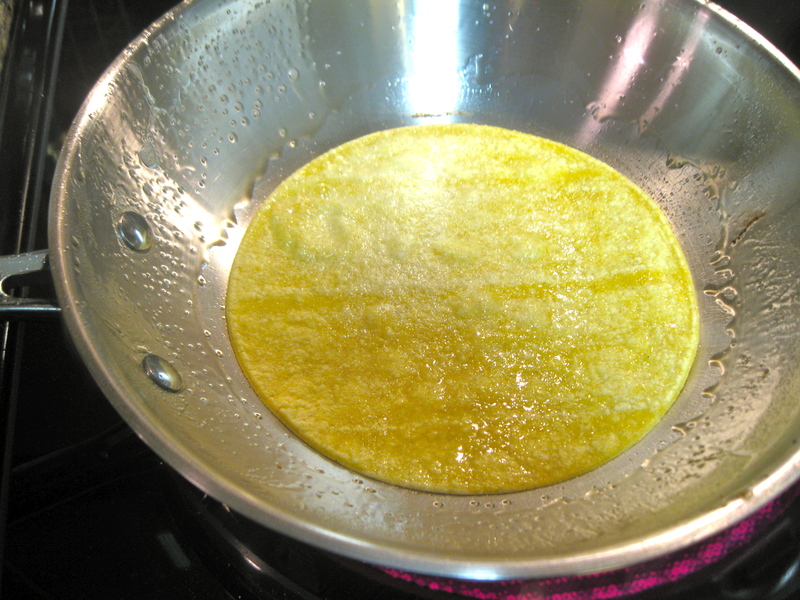 Working with one tortilla at a time, spray one side lightly with cooking spray, then place oiled side down on skillet. Heat for about one minute to slightly crisp and soften, then spray remaining side and flip. Repeat with all tortillas. Build tacos with meat, cilantro, onions, and slices of avocado. 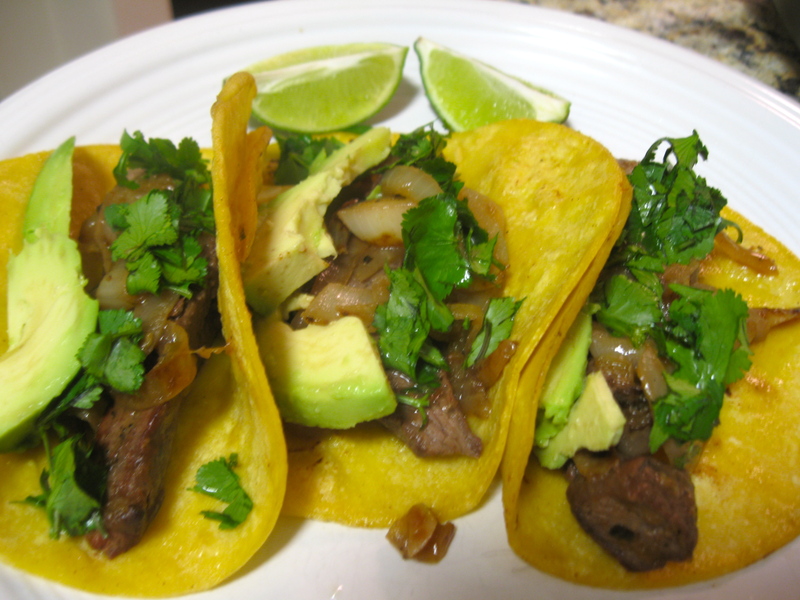 Sprinkle with lime juice right before eating. Enjoy!